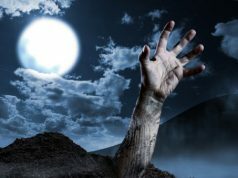 A stock that has just risen from the grave of past and forfeit success in recent days is Axim Biotechnologies Inc (OTCMKTS:AXIM). This stock used to be one of the most impressive momentum favorites in the MMJ space into early 2017. But things deteriorated over the past two years. However, recent action suggests the fires have been lit once again for AXIM. 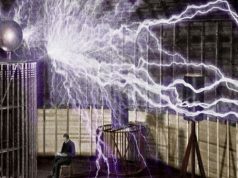 Axim Biotechnologies Inc (OTCMKTS:AXIM) bills itself as a biotechnology company that researches, develops, produces, and sells pharmaceutical, nutraceutical and cosmetic, and genetically controlled botanical products. It also engages in the extraction and purification of cannabinoids technologies based on its proprietary technologies. The company sells its products through Internet, direct-to-consumer health and wellness stores, collectives, cooperatives, and affiliate sales and master distributors. Axim Biotechnologies, Inc. was formerly known as Axim International Inc. and changed its name to Axim Biotechnologies, Inc. in July 2014. The company was founded in 2010 and is headquartered in New York, New York. Find out when $AXIM reaches critical levels. Subscribe to OracleDispatch.com Right Now by entering your Email in the box below. As noted above, AXIM just announced that the United States Patent and Trademark Office (USPTO) has issued a patent (US 10,172,786) on oral care compositions comprising cannabinoids, including cannabidiol and/or cannabigerol. We’ve witnessed in excess of 110% piled on for shareholders of the company during the trailing week. In addition, the company has benefitted from a jump in recent trading volume to the tune of just under 380% above the average volume levels in play in this stock over the longer term. Earning a current market cap value of $132.87M, AXIM has a store ($632K) of cash on the books, which must be weighed relative to about $6.2M in total current liabilities. AXIM is pulling in trailing 12-month revenues of $44K. However, the company is seeing declines on the top-line on a quarterly y/y basis, with revenues falling at -36.2%. We will update the story again soon as further details emerge. Sign-up for continuing coverage on shares of $AXIM stock, as well as other hot stock picks, get our free newsletter today and get our next breakout pick! Disclosure: we hold no position in $AXIM, either long or short, and we have not been compensated for this article.